On August 5, the law took effect that makes Colorado the 46th state in the nation to implement a felony DWI law. Before the law took effect, every DUI charge in Colorado was a misdemeanor, which meant that the most dangerous drivers could continue to get back on the road and pose a threat to the public. The new law makes a fourth DUI conviction in Colorado a felony punishable by four-to-six years in prison and a possible $500,000 fine. 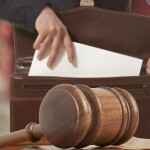 In California, a fourth DUI charge within ten years is also prosecuted as a felony. Intoxicated drivers who cause an injury or a fatality are typically charged with a felony, and if you have previously been convicted of felony DUI in California, any subsequent DWI charge will also be prosecuted as a felony. Yes, California is tough on DUI. 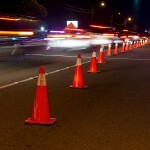 If you are arrested in Orange County for driving under the influence, you’ll need to get good legal help fast. 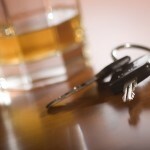 You’ll need to contact an experienced Orange County DWI attorney as quickly as possible. Colorado’s new felony law was passed in reaction to a genuine tragedy in that state. In January, Gilbert Martinez, 37, and his sons Ethan, age 6, and Bryson, one year old, were killed when a driver with eight previous DWI arrests came across the center line and crashed into their Honda minivan. The driver with the convictions, Rigoberto Macias-Marquez, 44, also died in the fiery collision. The simple answer is – don’t drink and drive. Take a taxi, have a designated driver, or do whatever it takes to keep from getting behind the wheel after drinking. Whether it’s your first offense or you’ve been through the system before in California – and whether you are charged with a felony or a misdemeanor – in Orange County, if you’re arrested for DUI, put your case at once in the hands of an experienced Orange County DWI attorney.